(Natural News) Plants and herbs that have long been used in folk medicine may very well hold the key to treating modern-day diseases. 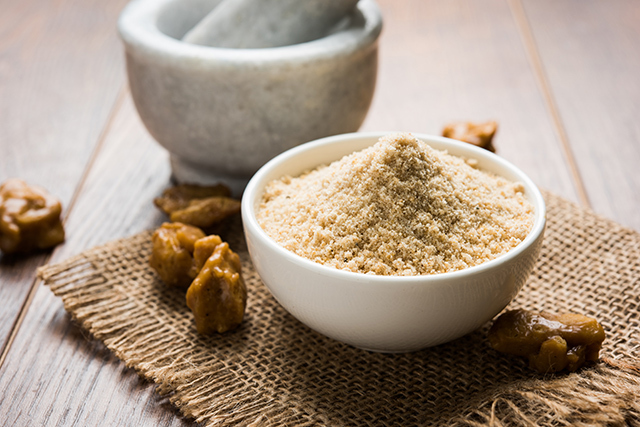 In a study published in the Journal of Ayurveda and Integrative Medicine, researchers found that asafoetida, a plant used in traditional food and medicine, could potentially have anti-tumor and anti-metastasis effect against breast cancer. The study, led by researchers from Shahid Sadoughi University of Medical Sciences and Ahvaz Jundishapur University of Medical Sciences in Iran, looked at the effect of an oleo gum resin from asafoetida in mice induced with breast cancer. Asafoetida (Ferula assa-foetida L.) is a plant commonly found in the Middle East and the Indian subcontinent. The gum derived from the plant has a distinctively “horrid and offensive smell,” which is compared to rotting garlic. However, it is used as an alternative to garlic and onion in some regions, as its taste is similar when cooked. In folk medicine, the plant has been used for its carminative (flatulence-relieving), antispasmodic, and anti-convulsant effects. Recent studies have also identified that the oleo gum resin from asafoetida possesses antioxidant, antimutagenic, and chemopreventive effects. While this indicates a potential anticarcinogen effect as well, no studies have demonstrated this effect on breast cancer. To put this theory into action, researchers selected female BALB/c mice and grouped them in two. Both groups were injected in the mammary fat pad with mammary carcinoma 4T1 cells. However, the experimental group was treated with 100 mg/kg of asafoetida using an oral gavage. This was done 15 days after the tumor had developed. After the experiment had ended, the tumor was measured. The lung, liver, kidney, and tumor were collected, and tissue samples were analyzed. The results indicated that mice treated with asafoetida decreased their tumor weight and volume. Moreover, the body weight of mice with asafoetida was greater than that of the control group. Based on tissue analysis from the lungs, liver, and kidneys, the rate of spread of the tumor decreased those treated with asafoetida, and tumor tissue necrosis increased. Based on the results of the study, researchers concluded that asafoetida contained anti-tumor and anti-metastasis effects on breast cancer. Further studies, they added, will involve understanding how asafoetida affects cell death in breast cancer, as well as its antimetastatic properties. “Further investigation is needed to determine the clinical efficacy and safety of asafoetida in human subjects with breast cancer metastasis,” they added. Learn even more news about cancer and how to beat it by following Cancer.news today.